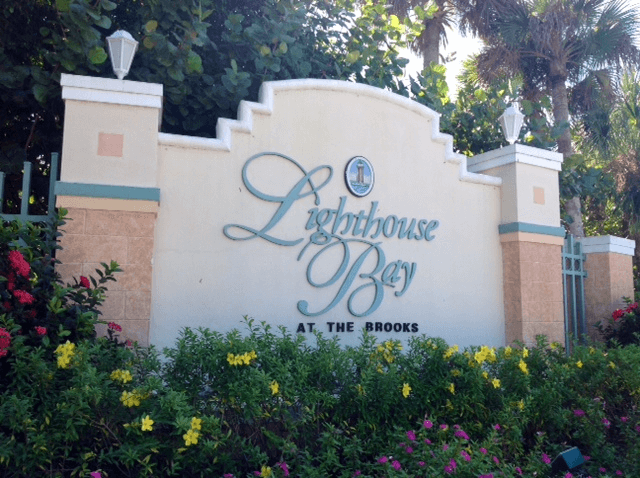 Lighthouse Bay at the Brooks was the first resort-lifestyle community in Southwest Florida. It received the “Best Development (500 acres) in southeast USA” Aurora Award 2001 and “Top 10 Boomer Communities in the USA” NAHB 2002. 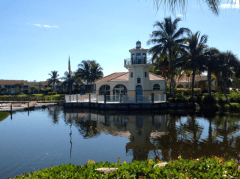 An absolutely beautiful gated community of 654 residences, 44 acres of beautiful lakes (stocked), 70 acres of greenspace including 26 acres of wildlife reserve, 5 picturesque cobblestone bridges (two navigable), 52 tiered lake fountains, over 12,000 oaks, palms and flowering trees plus 94,000 bushes and plants, surrounded by residential communities and breathtaking views of lakes and preserves.